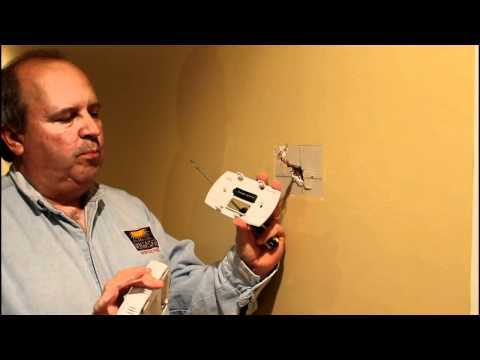 When using a programmable thermostat with a heat pump that uses auxillary backup electrical heating coils you must use a progammable thermostat that can specically handle this type of heating unit to save energy. A heat pump extracts heat from the outside air and brings it into the house like a refrigerator working in reverse. When the temperature drops to near 50 degrees F, the heat pump can no longer effectively extract heat from the outside air. This is why heat pumps are typically used in warmer climates. Should the temperature drop below 50 degrees F auxillary heating coils are turned on so that the house can be heated. You can think of the coils as being similar to a big toaster and they consume large amounts of electricity. If the coils are used to brign the temperature back up quickly, they can consume any savings from the lower temperatures. Manufacturers have designed specfic progammable thermostats that can compensate for this situation as well as handle other tpyes of heat such as radiant heating. 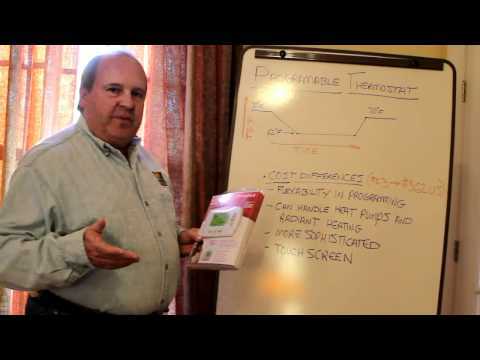 In the videos below, from the home energy challenge, we install a Honeywell RTH6350D programmable thermostat on a heat pump system.